Allum Book-keeping Services provide a professional payroll bureau service Bridport, Dorchester, Weymouth, Portland, Yeovil, Blandford Forum, Bournemouth, Poole, Dorset and the surrounding areas. Prices start from as little as £10 for upto 5 employees to process your payroll and £0.50 for each employee for yearend per peroid. Do you want to be relieve of the time consuming process of administering payroll, allowing you to get on with what you do best - running your business ? 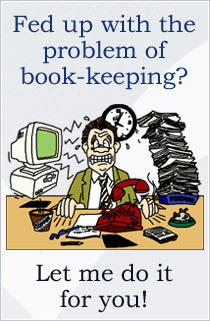 Allum Book-keeping Services can run you payroll bureau service Bridport on your behalf. This will include the preparation of pay slips for your employees, informing you of all amounts due to HMRC, operating payroll deductions. At the end of the tax year you will have the appropriate year end return prepare on your behalf. You can have your payroll prepared either weekly, bi-weekly, four weekly or monthly depending on your requirements. After each pay run you will be provide with payroll reports for your records and for inclusion within your bookkeeping records. At the end of you businesses financial year you will be provide with a summary to assist your accountant in preparing your year end accounts. .
Allum Book-keeping Services comprehensive payroll bureau service Bridport will alleviate you of this responsibility and ensure your business complies with the relevant legislation. Businesses are now required to submit their PAYE returns to HMRC on line; this will be done for you.